The second Group 1 race on the opening day of Royal Ascot is the five-furlong King’s Stand Stakes at 3.40. The King’s Stand Stakes is one of the top sprint races of the season and has been won by some great horses over the years. Previous winners include Habibti (1984), Dayjur (1990), Lochsong (1994) and Sole Power (2013 and 2014). The rain-softened ground has caused the late withdrawal of ante-post favourite Acapulco and Sole Power, denying the latter the chance of a record-breaking third victory. 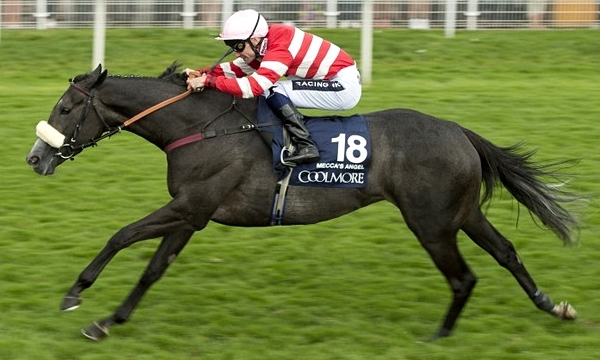 The hot favourite is Mecca’s Angel, surprisingly beaten a quarter of a length by Profitable at Haydock last month. The five-year-old mare was a brilliant winner of the Nunthorpe Stakes at York last season when the rain came just in time for her. She is a far better mare with cut in the ground but could not repel Profitable last time out. The pair meet on identical terms in the King’s Stand Stakes and Mecca’s Angel is expected to improve with that run under her belt. Profitable had previously won the Palace House Stakes at Newmarket in April and looks a much-improved sprinter. Clive Cox’s colt had only won at Listed level prior to this season. Cotai Glory and Goldream were both taken out because of the good to soft ground at Haydock so there have to be concerns for both horses at Royal Ascot. Goldream won this race last year on good to firm ground when getting the better of Medicean Man by a short-head. He was only fifth behind Mecca’s Angel on a softer surface at York and conditions have gone against him. Pearl Spirit caught the eye when running on into fourth place at Haydock. David Barron’s chestnut has seven career wins from 22 races including the Group 2 Temple Stakes last year. He can leave himself with too much ground to make up in his races, as he did last year when fourth to Goldream. The cut in the ground should help his cause and Pearl Spirit represents good each-way value at around 12-1. Muthmir has had plenty of chances at this level and really wants faster ground and Waady looks the pick of the Sheikh Hamdan runners. He was narrowly ahead of Pearl Secret at Haydock and should not be far away for John Gosden and Frankie Dettori.